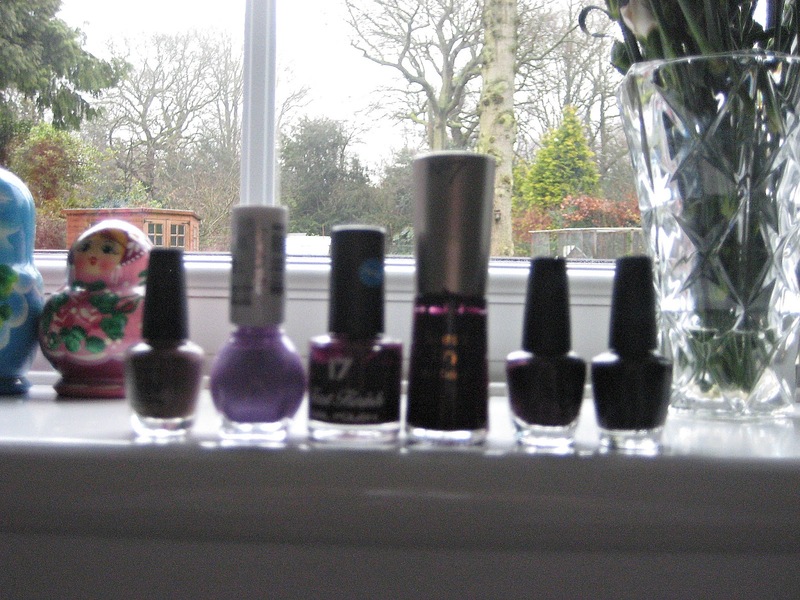 Everything But The Kitchen Sink: Think I have too many nail polishes...? As I'm still on half term and stuck doing revision, my comfy outfits haven't been blog-worthy. 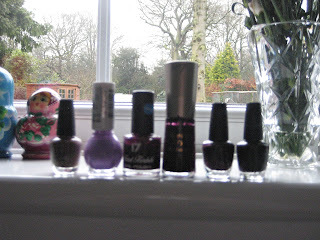 So instead I thought I'd share my extensive nail collection and my favourites! This collection has been going on for years and years, with my sister giving me most and some as Christmas presents, so I've built up a lot! Sorry about the rubbish quality of the photos! 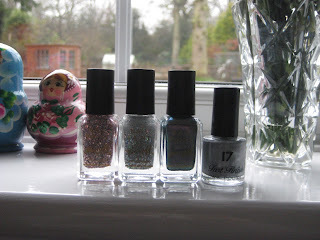 The third and fourth polishes are definitely my favourites! I received the Nails Inc shade free in a magazine ages ago and fell in love with it. I haven't had any nails inc polishes before, mostly getting mine from boots and superdrug! So was pleasantly surprised by the quality and vibrant pinky red colour. 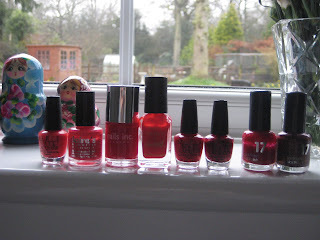 My standard nail polish is definitely Barry M's red shade, I can't fault any of their nail polishes! I normally reach for this colour in the summer as it goes well with my freckles and my non-existent tan. Another Barry M mint colour as the second one in. I loved loved this colour in the summer, I'm sure you've heard enough about my adoration for Barry M but if you haven't ever owned a Barry M polish, 1. What is wrong with you?! 2. Go buy yourself one! A nail fashion trend which started last year or maybe year before was the magnetised polish. I bought my Number 17 polish, second to last, in a greeny blue shade, which kinda reminded me of a mermaids tail.. haha either way it is gorgeous and for a while I couldn't stop staring at them! 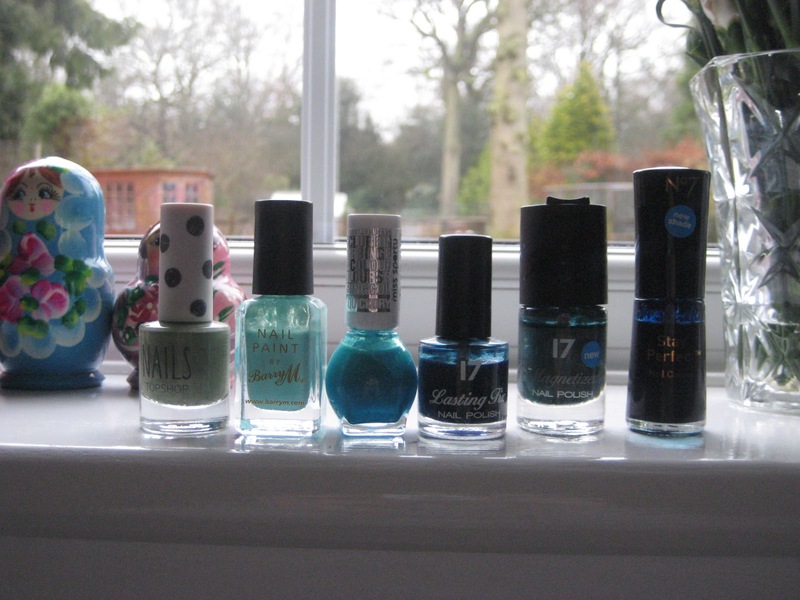 You can never have enough Barry M nail polishes! I got these three from my sister and her boyfriend for Christmas and so far I've tried out the two glitter shades over the top of other colours, which works really well as they're thin enough to still have the colour through! I think the next polish for me will the the purple green metallic, second to last, as it looks awesome! I say you can never have too many nail polishes ;) Great collection you have there! 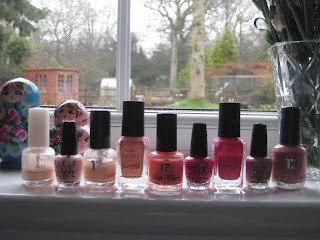 It's not too many nail varnishes, they are all lovely! And you use them so it isn't like you have too many that you can't use them all!